The second day of the NSDA Primm Valley Resorts Spring Nationals saw the wind die down and allow for some top notch racing action. Scott Whipple ran a great 2.303/160.83mph pass to take the top qualifying position in Top Fuel. Dan Allen stole the show in Top Alcohol with a 2.475 ET for the top spot. 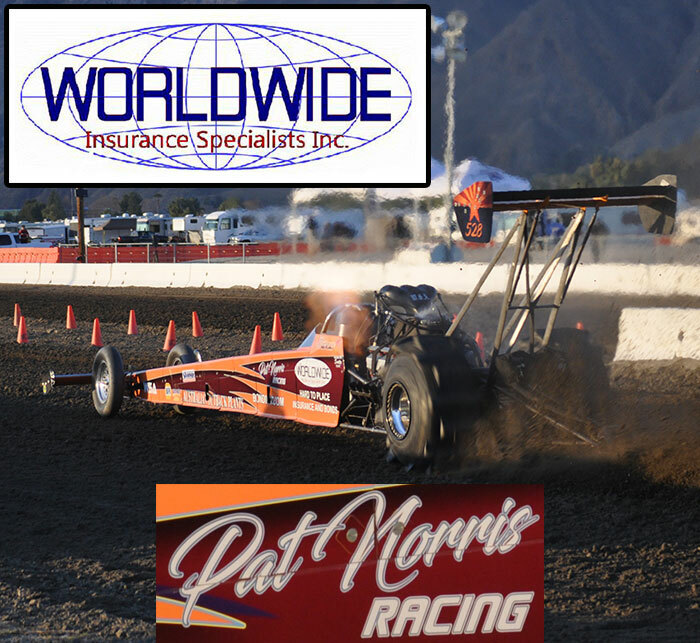 Jeff Mamer made his 2009 debut in grand fashion with a perfect 2.950 to lead the Top Eliminator class into race day. April Soares did an awesome job in Sportsman class action winning both the Sportsman 1 and Sportsman 2 car classes. Other winners on the day were Steve Foster Jr. (Pro Index), Garrett Ratliff (Motorcycle Sportsman 1), and Joey Weaver (Motorcycle Sportsman 2). - Scott Whipple had a great .981 60’ on his 2.303 #1 qualifying pass. Whipple also had Low ET of qualifying session two with a 2.371. - Geoff Gill ran Low ET of session one with a 2.384, then had problems and had to shut off early on the following two passes. - Dennis Rieck struggled, breaking just off the line on both passes. - Pete Schenk experienced major driveline damage on his first pass, putting him and the Gary Brown-owned car out of the weekend. - Dan Allen’s #1 qualifying 2.475 was run in qualifying session #2. - Mike DeNunzio had the quickest 60’ in the TA class with a 1.022 on his final session 2.499. Heavy winds put a damper on the racing action on day one of the 2009 NSDA Primm Valley Resorts Spring Nationals. Both qualifying sessions for the Top Fuel, Top Alcohol, and Top Eliminator classes were scratched due to the heavy winds possibly creating an unsafe condition in the shut down area. The bracket classes were still able to complete their Bonus classes and test & tune action on the day. Shawn Thompson (Pro Bonus) and Nick Schulzman (Sportsman Bonus) were today’s winners. Saturday’s schedule will see three qualifying sessions for the TF, TA, and TE classes as the schedule for the rest of the weekend will be similar to the two-day format used at the March Yuma event. For racers, NSDA has copies of the revised weekend schedule at the registration trailer.